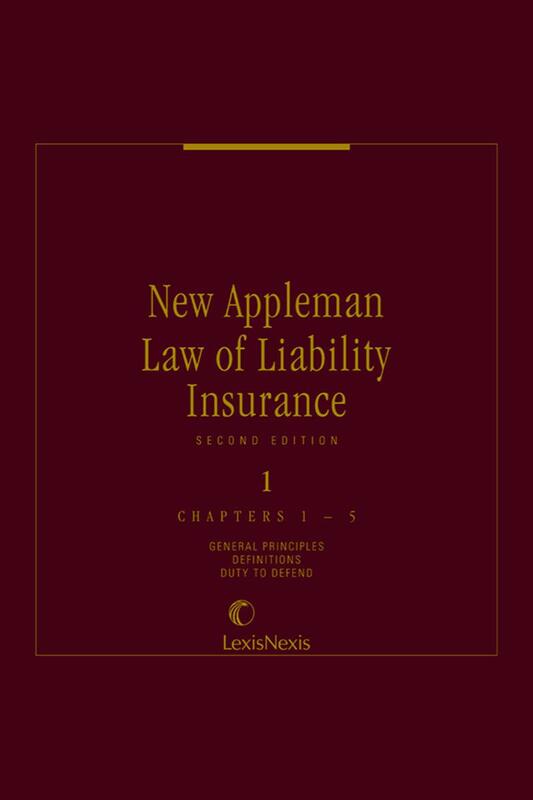 Explains the terms and phrases essential for a general understanding of liability insurance, and discusses injuries to both persons and property. 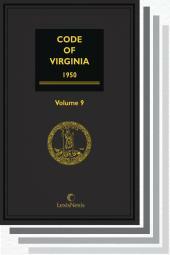 Print Book :5 Volumes, Loose-leaf, updated with supplements and revisions. Fast, Reliable Answers To Questions On Coverage, Conditions And Exclusions Of Liability Insurance. Insurance issues are pivotal in most personal injury actions or claims relating to bodily injury or property damage. This treatise gives you the extensive discussion and analysis necessary to tap "deep pockets" or defend your client in these actions. 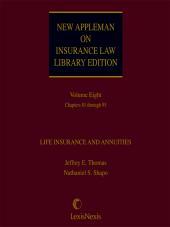 Chapter by chapter analysis of liability insurance principles, contracts, coverage, exclusions and more will provide all relevant case law issues and current practices. 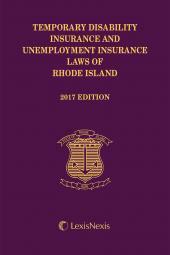 This treatise gives the practitioner complete coverage of this crucial element of successful litigation. Focus On Crucial Policy Provisions. 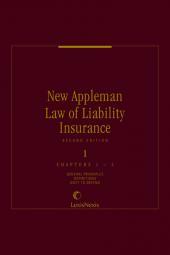 The Law of Liability Insurance focuses on crucial policy provisions that cases in the text were decided upon, including the latest case developments in all jurisdictions. Insurance issues are analyzed from both insurer's and insured's perspectives to give you that extra advantage when preparing your cases. Explains the terms and phrases essential for a general understanding of liability insurance, and discusses injuries to both persons and property. Chapter appendices provide helpful forms, analysis of the effects of revisions to the standard commercial general liability insurance policy, and new policy provision.